To use the services provided on the website and make online payments, it is compulsory to register on this website which can be done through Administrator for this website using your information provided by you to the College authorities. to investigate, prevent, or take action regarding illegal activities, suspected fraud, situations involving potential threats to the security, integrity of College website/offerings. College website will send some your contact information(like Name,Email, Mobile No.,) to the payment gateway for smooth transactions during the online payment. The details of payment along with fee payment receipt will be sent to the provided email ID at the time of payment. A confirmation of successful payment also will be sent to mobile number provided at the time of payment by SMS. So please provide active email ID and mobile number correctly. There is no separate need to submit the hard copy of the receipt to the college. The receipt is system generated, so there is no requirement of authorised seal and signature on it. However, if it is required for any specific purpose, the receipt may be authorised by the proctor/account department. Refund for Charge Back Transaction: In the event there is any claim for / of charge back by the User for any reason whatsoever, such User shall immediately approach the College with his / her claim details and claim refund from the College alone. Such refund (if any) shall be effected only by the College via payment gateway or such other means as the College deems appropriate. No claims for refund / charge back shall be made by any User to the Payment Service Provider(s) and in the event such claim is made it shall not be entertained. The convenience fee will be charged by PayU as per following details. The transaction amount will be total payable amount inclusive of convenience fee with 18% GST. Prefer to pay using net banking for minimum convenience fee to be charged. 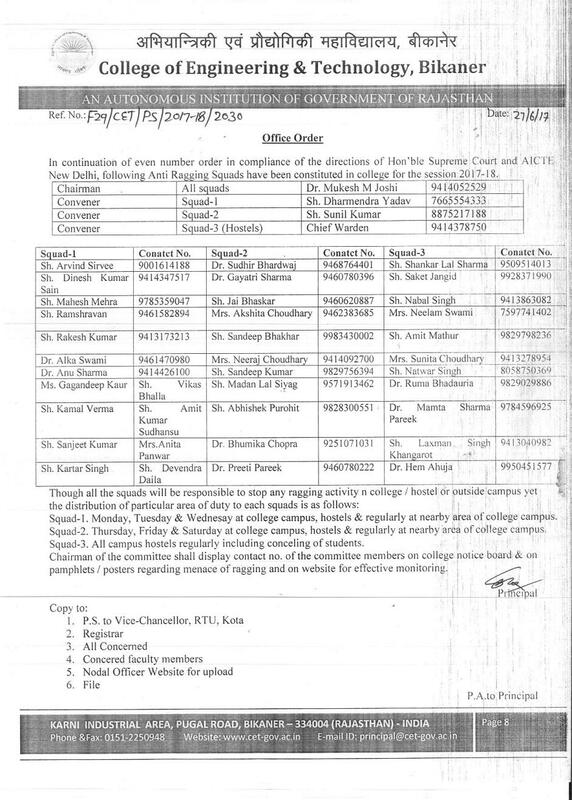 Refund for fraudulent / duplicate transaction(s): The User shall directly contact the College for any fraudulent transaction(s) on account of misuse of Card/ Bank details by a fraudulent individual/party and such issues shall be suitably addressed by the College alone in line with their policies and rules. In case the Bank Account appears to be debited, ensure that he / she does not make the payment twice and immediately thereafter contact the College via e-mail or any other mode of contact as provided by the College to confirm payment. However, the User agrees that under no circumstances the Payment Gateway Service Provider shall be held responsible for such fraudulent / duplicate transactions and hence no claims should be raised to Payment Gateway Service Provider No communication received by the Payment Service Provider(s) in this regards shall be entertained by the Payment Service Provider(s). The College has made this Service available to the User as a matter of convenience. The College expressly disclaims any claim or liability arising out of the provision of this Service. The User agrees and acknowledges that he / she shall be solely responsible for his / her conduct and that the College reserves the right to terminate the rights to use of the Service immediately without giving any prior notice thereof. The College and / or the Payment Service Providers shall not be liable for any inaccuracy, error or delay in, or omission of (a) any data, information or message, or (b) the transmission or delivery of any such data, information or message; or (c) any loss or damage arising from or occasioned by any such inaccuracy, error, delay or omission, non-performance or interruption in any such data, information or message. 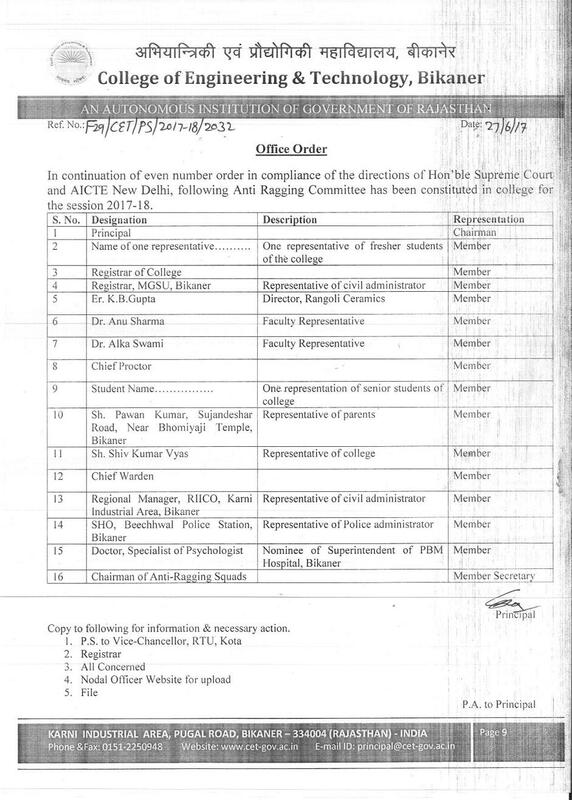 Under no circumstances shall the College and / or the Payment Service Providers, its employees, principal, and its third party agents involved in processing, delivering or managing the Services, be liable for any direct, indirect, incidental, special or consequential damages, or any damages whatsoever, including punitive or exemplary arising out of or in any way connected with the provision of or any inadequacy or deficiency in the provision of the Services or resulting from unauthorized access or alteration of transmissions of data or arising from suspension or termination of the Services. The User shall indemnify and hold harmless the Payment Service Provider(s) and the College and their respective officers, principal, agents, and employees, from any claim or demand, or actions arising out of or in connection with the utilization of the Services. The User agrees that the College or any of its employees will not be held liable by the User for any loss or damages arising from your use of, or reliance upon the information contained on the Website, or any failure to comply with these Terms and Conditions where such failure is due to circumstance beyond Collegeâ€™s reasonable control. During the online payment using Payment Gateway the user also accepts the terms and Conditions of the Payment Gateway. Although all reasonable care has been taken towards guarding against unauthorized use of any information transmitted by the User, the University does not represent or guarantee that the use of the Services provided by / through it will not result in theft and /or unauthorized use of data over the Internet. The College, the Payment Service Provider(s) and its affiliates and associates shall not be liable, at any time, for any failure of performance, error, omission, interruption, deletion, defect, delay in operation or transmission, computer virus, communications line failure, theft or destruction or unauthorized access to, alteration of, or use of information contained on the Website. The User will be required to login his / her own User ID and Password, given by the College in order to register and / or use the Services provided by College on the Website. By accepting these Terms and Conditions the User aggress that his / her User ID and Password are very important pieces of information and it shall be the Userâ€™s own responsibility to keep them secure and confidential. The User is hereby informed that that College will never ask the User for the Userâ€™s password in an unsolicited phone call or in an unsolicited email. The User is hereby required to sign out of his / her College account on the Website and close the web browser window when the transaction(s) have been completed. This is to ensure that others cannot access the Userâ€™s personal information and correspondence when the User happens to share a computer with someone else or is using a computer in a public place like a library or Internet cafÃ©. We strive to make your information confidential and secure using best encryptions, still we will be not responsible for online theft or data leaks. The User agrees that, to the extent required or permitted by law, the College and / or the Payment Service Provider(s) may also collect, use and disclose personal information in connection with security related or law enforcement investigations or in the course of cooperating with authorities or complying with legal requirements. The User agrees that any communication sent by the User vide e-mail, shall imply release of information therein / therewith to the College. 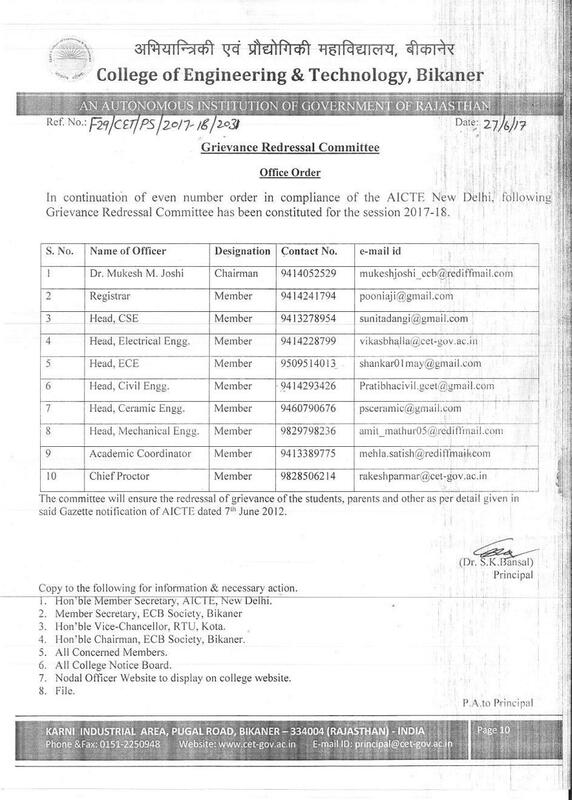 The User agrees to be contacted via e-mail on such mails initiated by him/ her. College may use your information for analysis and providing a better user experience to the users. Transactions on the Website are secure and protected. Any information entered by the User when transacting on the Website is encrypted to protect the User against unintentional disclosure to third parties. The Userâ€™s credit and debit card information is not received, stored by or retained by the College / Website in any manner. This information is supplied by the User directly to the relevant payment gateway which is authorized to handle the information provided, and is compliant with the regulations and requirements of various banks and institutions and payment franchisees that it is associated with. The Service is provided in order to facilitate access to view and pay Student Fees online. The College or the Payment Service Provider(s) do not make any representation of any kind, express or implied, as to the operation of the Payment Gateway other than what is specified in the Website for this purpose. By accepting/ agreeing to these Terms and Conditions, the User expressly agrees that his / her use of the aforesaid online payment Service is entirely at own risk and responsibility of the User.